Hailed by the poet and architectural historian Sir John Betjeman as "a genius at photography", Edwin Smith (1912 - 1971) was one of Britain's foremost photographers. At the time of his death he was widely regarded as without peer in his sensitive renditions of historic architecture and his empathetic evocations of place. The recurrent themes of Smith's work - a concern for the fragility of the environment; an acute appreciation of the need to combat cultural homogenization by safeguarding regional diversity; and a conviction that architecture should be rooted in time and place - are as pressing today as when Smith first framed them in his elegant compositions. By providing the first in-depth survey of his work, this book introduces Smith's poignant imagery to a new generation. 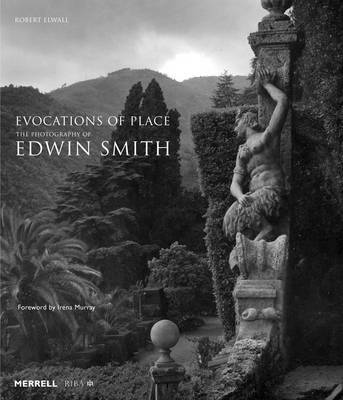 This paperback edition accompanies the RibA exhibition at 66 Portland Place, London, entitled A Vanishing Past: The Photography of Edwin Smith, 11 September 2014 to 13 December 2014. The exhibition will then travel to the Mann Island Gallery in Liverpool in 2016.